The recent Navy Seal's incident in Pakistan involving the military action against Osama bin Laden shows just how fast news travels. In the past an incident like this might have taken days, or even weeks to break, now it is minutes. What this shows is that it is not uncommon for information to travel from the upper echelons to lower ones and vice-versa. Frequently the information must be accurate to adjust operations on the go. That is why the military is involved in using mobile phone technology and apps to help provide information about what troops may be doing before, during, or after an operation. Sometimes these operations may be combat related, but not always. 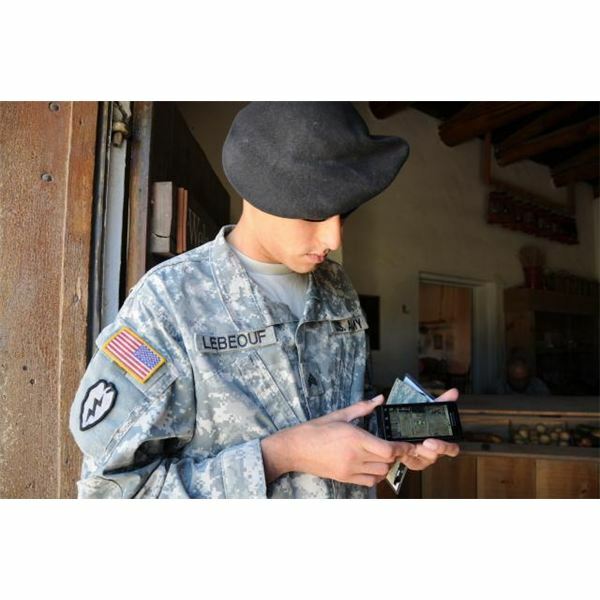 Connecting Soldiers to Digital Applications, or CSDA, is the name of a program that the military is now instituting to make apps available. There are two phases in the development of the program. Phase one will focus on assessing the value of using smartphones for administrative tasks. These include using training content modules in the form of instructional videos, games, presentations and interactive instruction. Phase two is more practical in that it involves the employment of army smartphones to determine if they can be used in an operational environment. Security considerations will be a big part of phase two. For example, reporting enemy activity, or monitoring operations and reporting back to higher ranked authorities could help make the military more efficient. Another part of the idea behind using mobile phone technology is to help reduce training costs. By making apps available to military personnel they can spend time learning about selective procedures, and not have to take time out of their normal activities by signing up for training at remote locations, and then going there, which will cost time and money. Now the same training can be available with a mobile phone app. Using existing technology that meets the requirements of the military is also a sensible money saver versus developing new tech. The US Army is the first military force to really take advantage of mobile device technology on a large scale. Currently they are working with iPhone handsets, and Android based phones. They also have plans to use iPads, Kindles, and Nook readers. Using commercial mobile devices will save the military a lot of money because it does away with the need to have special devices made specifically for them. There may be concerns that these devices may be breached, something that high level Colonels and Generals would be worried about, but if the app software is secure, then this should go a long way towards placating their worries. Training is a big part of army operations. 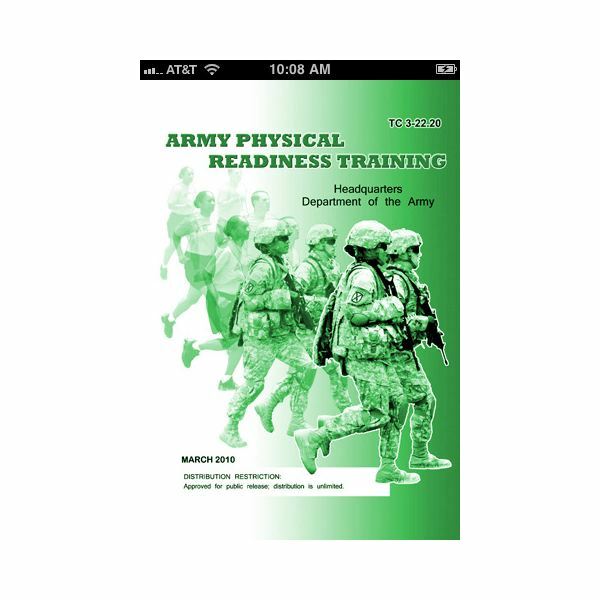 So the army has an app called PRT, Physical Readiness Training. It shows physical exercises and has accompanying videos for many of them. Workout recommendations are provided based on new standards in the training circular to allow a unit leader to plan physical training tasks for the unit. Ups: Users can choose multiple drills and are not stuck doing the same one. 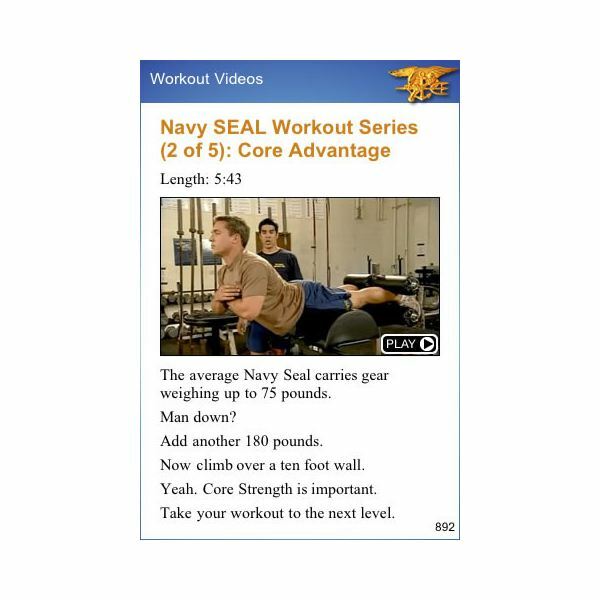 The US Navy also has a physical training app. When you see advertisements like "The average Navy Seal carries gear weighing up to 75 pounds, now add a man down, add 180 pounds, and climb over a 10 foot wall." Well you get the idea. Core strength is important. This app is not for the faint hearted. Ups: Can compete with the Army PRT app. Downs: Must be physically fit to begin with. Google's efforts on army smartphones, or the JBC-P handheld, represent a different approach. The nonprofit organization, MITRE, is developing this device. It runs on the Google Android mobile operating system. It weighs about two pounds. So it is not the user friendly moble phone consumers are used to. Here are some of the expected features. There will be a mapping function. A Blue Force Tracker program will keep tabs on where friendly forces are. Critical messaging will exchange crucial data like medevac requests and on the ground reporting. It will mark enemy locations on a GPS map for other soldiers to see and it will send pictures of wounds to medical personnel for first aid or possible medical instructions. More on GPS for the military can be found at GPS in the Military. The US military has accepted new technologies as a way of keeping ahead of its real or potential enemies. Now with mobile device apps it is trying to engage its personnel in new ways to make themselves more efficient and combat ready. We looked at two physical training apps here but more wide ranging apps are sure to come in the future. The Joint Battle Command-Platform will use the Google Android OS as the foundation platform for a combat ready smartphone.